While you’re out on the road, you’re thinking of the miles left in your haul, when you’ll stop next, and when you’ll get home again. Being pulled over for a weigh station inspection can seem like a hassle. It’s not surprising that you might get annoyed at the delay or worried that your schedule will be disrupted. The things you do during a weigh station inspection will determine whether it’ll be fast and easy or a long, drawn out headache. 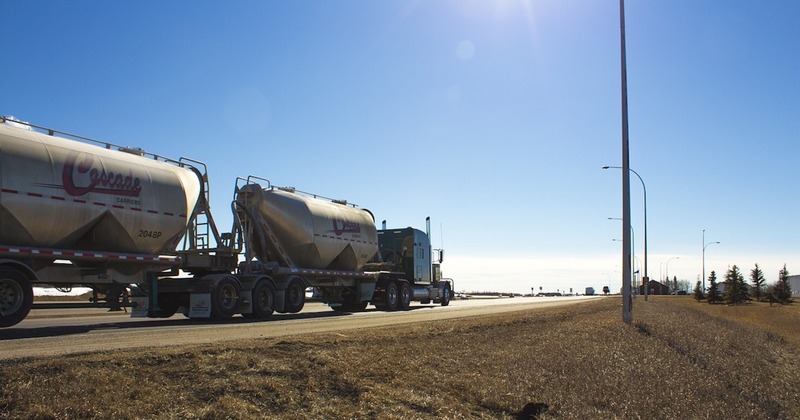 Here’s how to make sure you have a smooth weigh station inspection. It begins when you pull into the weigh station. Follow all signs about where to go, where to stop, and your speed. Listen and comply with any verbal directions, too. Doing anything else can slow the entire process down. Furthermore, if you can’t follow directions at this stage, the officer or inspector may not be convinced that you’re following directions for anyone else either. There’s a good chance that will lead to a full inspection. While you’re sitting in the cab, sit still and keep your hands visible. It’s a sad state of affairs that we live in a world where this is necessary, but it’s true. You don’t know what kind of person the officer dealt with before you pulled up. Don’t give them any reason to doubt that your intentions are honest. Fast movements and reaching for unseen items can set an officer on edge. The officer will ask to see your information. Your CDL, truck registration, and details about your load are most likely. Before you get on the road, make sure all of that information is together and organized. Ideally, you should have it ready to hand over and it should be easy for the officer or inspector to read through quickly. You might be annoyed at the delay, but that doesn’t mean the officer or inspector needs to know it. It’s possible they only want to take a quick look to make sure that you have everything in order. Give them attitude and it could turn into a full inspection. Be friendly, courteous, and professional during all your interactions. Yes, even if the officer or inspector is short or curt with you. Again, you don’t know what they’ve put up with before you pulled in. Prevention is the best medicine to avoid long weigh station inspections. Before you get on the road, make sure your lights and everything else are working properly. Check to make sure your load is secured correctly. Keep your dashboard clean and (as mentioned above) follow directions when you pull in. You might get pulled in for a random inspection but you also don’t need to give inspectors a reason to want a closer look. Make weigh station inspections even easier by keeping all your information mobile. With the Gorilla Safety app, your documentation can be available at the touch of a screen. When you do have to go through a full inspection, Gorilla Safety makes your ELD info easy to access and read. Ready to make the switch to a full service fleet management system? Contact us today!